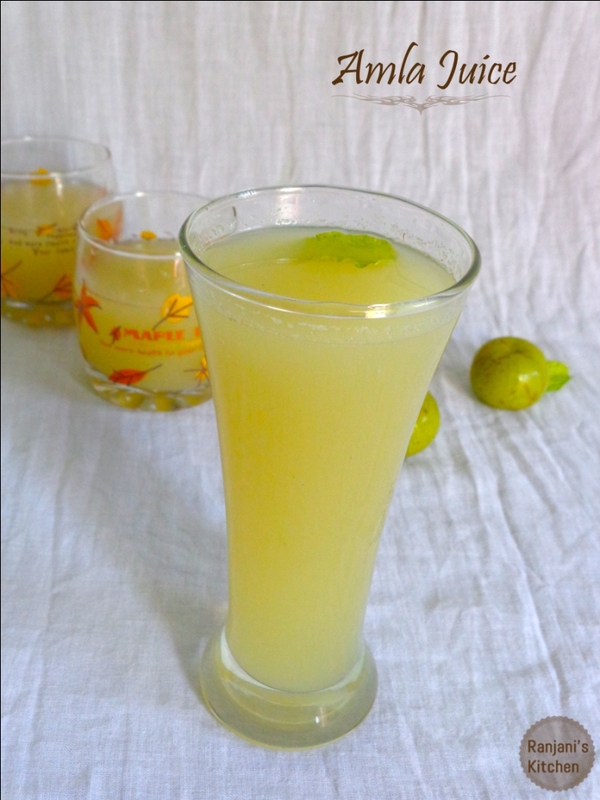 Amla Juice, a healthy coolant to quench heat.Amla called Indian gooseberry and named differently in some other regions. Amla is mainly known for promoting hair growth and to reduce body heat. Other than that, it has lot of health benefits. It mainly removes unwanted toxins from and helps to strengthen heart muscles. It balances cholestrel level and nourishes brain. Even its good for eyesight as well. Amla which I used is harvested in my granny’s backyard. She sent me a pack of amla’s. So I listed something to do with amla. 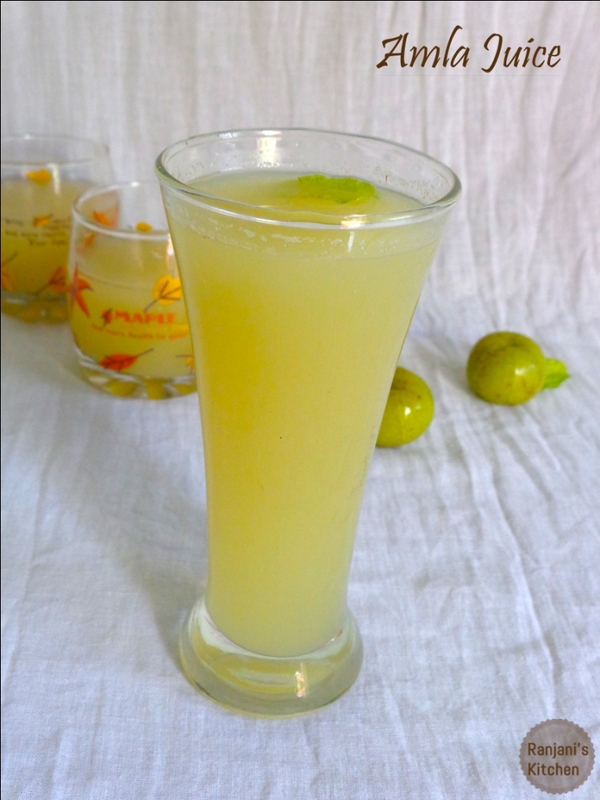 First comes Amla juice, a healthy supplement. 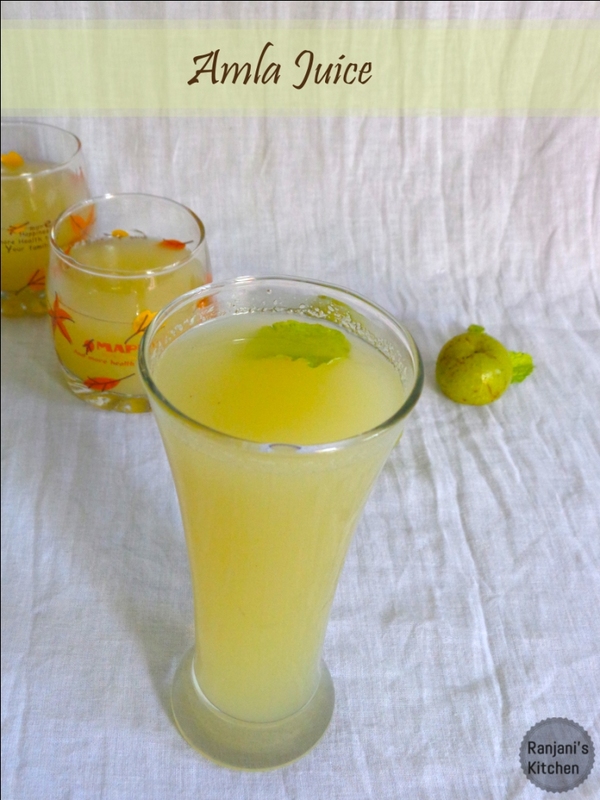 Its really easy and tasty drink to make and taste. Wash and deseed amlas to use for juice.Peel the skin from ginger, wash and grate it. 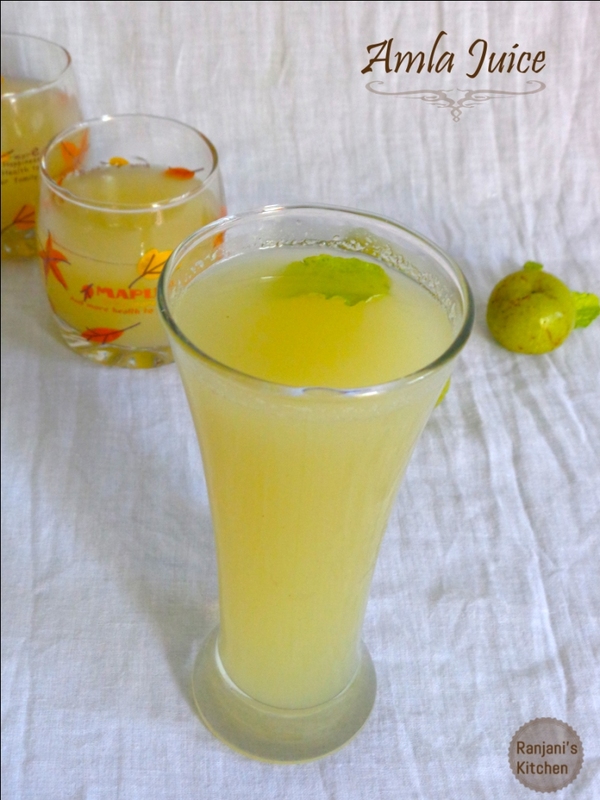 In a blender, add deseeded amlas, grated ginger, a pinch of salt and sugar. Blend for a 3o secs, then add a cup of water to it. Again blend to smooth level. If needed, add extra water. Drain this mixture using a drainer, then add remaining cup of water to the mixture and extract well. Add if honey is needed. Serve in glasses with ice cubes. Skip sugar if you want honey alone.